The first decentralized smart contracts protocol built on top of an altcoin block chain is now live. ClearingHouse, a descendent of Counterparty, was created by the team behind viacoin and has been in active development since the alt first launched last month. The team has attracted top talent in the bitcoin space, most notably Bitcoin Core developer and Coinkite advisor Peter Todd who has been hired to work on his Tree Chains concept. 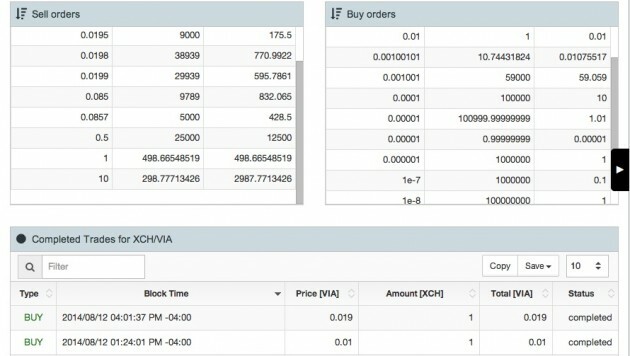 On 11th August, the viacoin development team announced new details regarding ClearingHouse’s internal currency, XCH, and information on how users can exchange viacoins for the new currency. Notably, a new Web-based client interface that implements the ClearingHouse protocol, Clearwallet, was also made public. 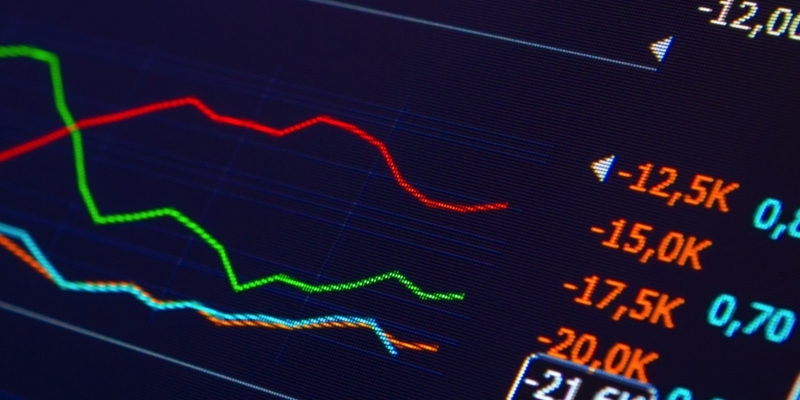 CoinDesk spoke with viacoin developer BTCDrak, who said that because the ClearingHouse protocol is built on top of the viacoin block chain, certain structural and political complications that have previously plagued decentralized contract platforms are largely sidestepped. He added that, in the past, the teams behind projects like Counterparty have faced pressure from bitcoin’s development community that ultimately impeded progress. Using viacoin as a basis, ClearingHouse-based projects can avoid these obstacles entirely. Clearwallet is the first implementation of ClearingHouse, giving users a decentralized environment for conducting various contracts. No keys are stored on the server and all transactions happen purely between the two parties. As shown in the image above, the simple user interface currently offers an asset marketplace, a betting terminal and section for decentralized games. Clearwallet also offers a live chat box, with early adopters already investigating the implementation. 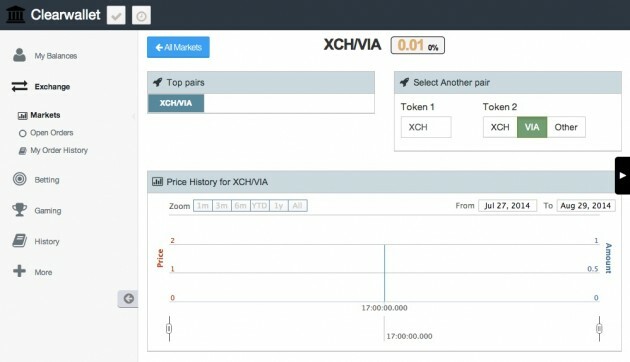 In its original announcement, the viacoin-ClearingHouse development team announced that the exchange rate between VIA and XCH would be 100 XCH per VIA. A 45-day sale period has already begun, with a diminishing exchange rate that will end at 85 XCH for each viacoin. 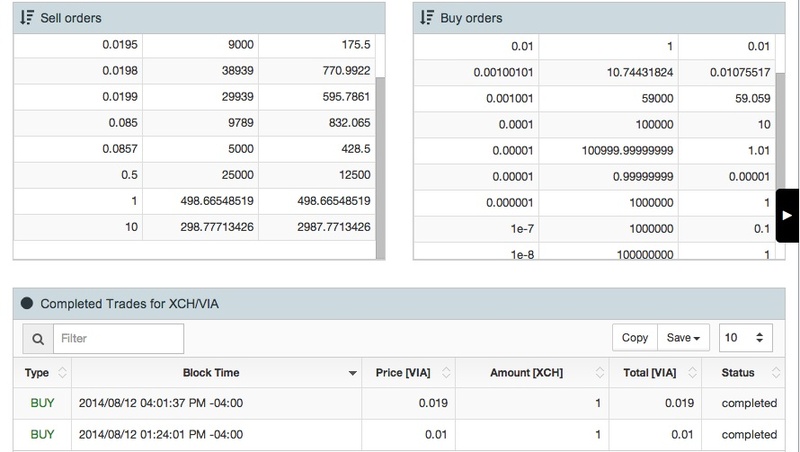 According to BTCDrak, exchange volume is up and nearly 230,000 viacoins have been converted to XCH, or roughly 143 BTC at press time. Users have already executed several trades in Clearwallet’s VIA/XCH marketplace. Looking ahead, reputation and identity support will be implemented that add further layers of complexity to how the protocol can be leveraged. As the team noted in the blog post, this includes the creation of decentralized organizations, facilitation of online polls, the sale of goods and services and even the development of new cryptocurrencies. The ClearingHouse protocol represents the latest entry in a group of decentralized contract platforms, which also includes Counterparty and the off-block chain decentralized contract network BitHalo. Ripple Labs is also working on its own smart contracts platform, Codius. Beyond contracts, decentralized platforms are attracting attention for their intrinsic security and appeal to a broad segment of the bitcoin community. It’s this level of grassroots support that has made such projects largely possible. Among the projects taking shape in this space is BitcoinJ developer Mike Hearn’s decentralized crowdfunding platform Lighthouse. While no date has been given, the platform is expected to launch sometime in the next month. Commerce has also proved to be a major area for decentralized development. Peer-to-peer marketplace OpenBazaar, created by Brian Hoffman and based on the Toronto Bitcoin Expo Hackathon winner DarkMarket, seeks to bring the principals behind decentralized actions to consumer-to-merchant interaction.